Just about every single time I walk by this yard on Carroll Avenue in the summer I stop and take photos of the bees, butterflies and blooms. This time, it was the colorful “We Believe” sign that caught my eye. 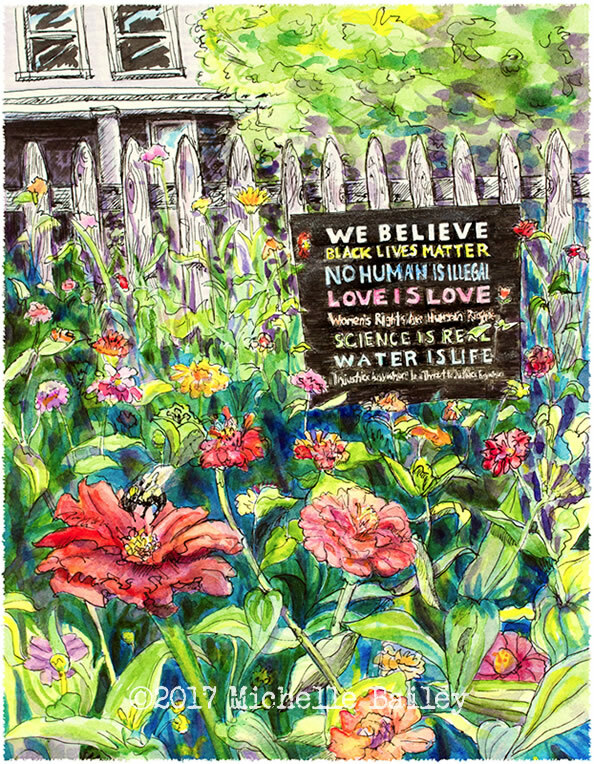 Later as I was sketching from the photos, I realized I couldn’t see all of the words at the bottom so I searched online and found Jameesa Oakley’s Etsy shop – SignsofJustice — ( you can order your own yard sign at the link!). 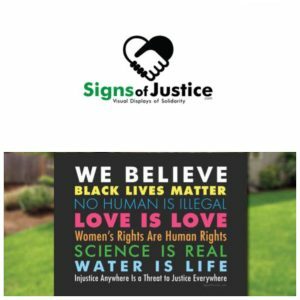 They have other great signs too, so check them out! Matted prints and note cards of my painting are available from my Etsy shop, MichelleBaileyArt. Like the yard sign? You can get one at Signs of Justice!